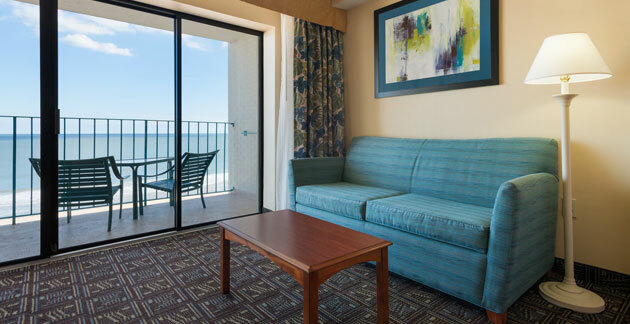 Relax in our inviting oceanfront accommodations that feature functional amenities designed for ultimate comfort. 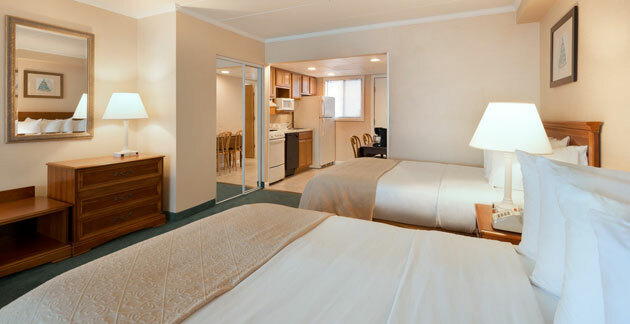 Tasteful decor, modern furnishings and plush beds invite you to settle in and unwind. 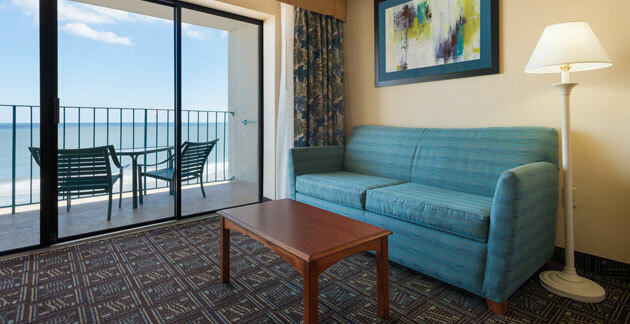 Large sliding glass doors and private balconies mesmerize with sweeping views of the beach and majestic Atlantic Ocean. 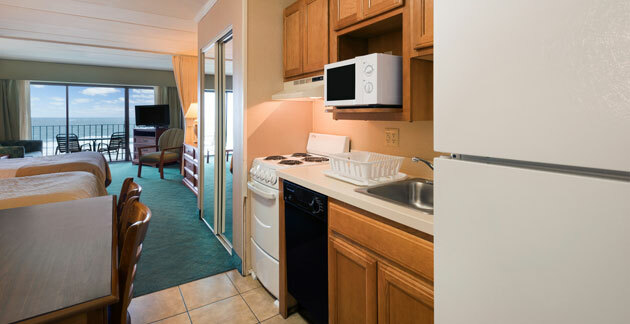 Fully-equipped kitchenettes and sleeper sofas offer choice and convenience. 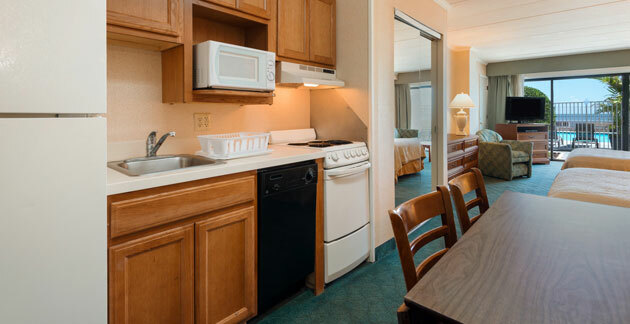 Complimentary Wi-Fi, 32" flat-screen televisions, DVD players, and premium cable channels keep you entertained when you just want to kick back during your stay. 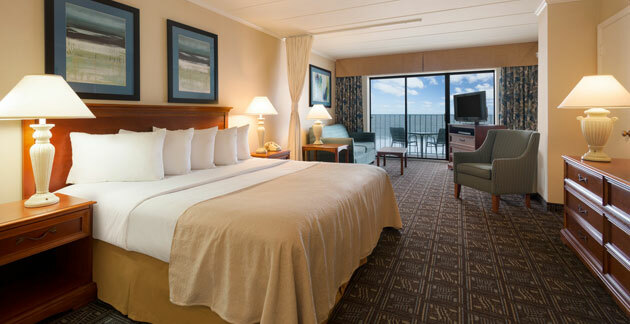 Unwind with your choice of one King or two Double beds, a fully-equipped kitchenette, a separate living room with pull-out sofa bed, a private balcony with a direct ocean view, 32" flat-screen television, DVD player, and premium cable channels like HBO and Disney. 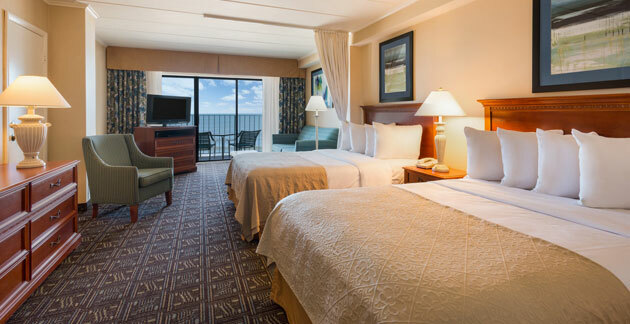 Get comfortable with your choice of one King or two Double beds, a fully-equipped kitchenette, a separate living room with pull-out sofa bed, a private balcony with direct ocean view, 32" flat-screen television, DVD player, and premium cable channels like HBO and Disney. 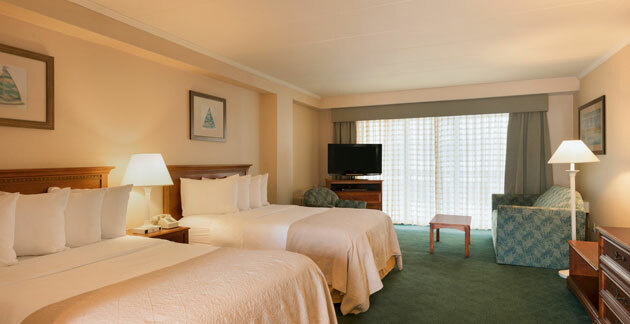 Relax in comfort with your choice of one or two Double beds, a fully-equipped kitchenette, a separate living room with pull-out sofa bed, a private balcony with partial ocean view, 32" flat-screen television, DVD player, and premium cable channels like HBO and Disney. 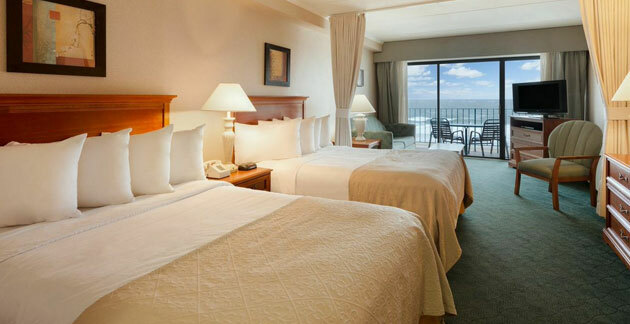 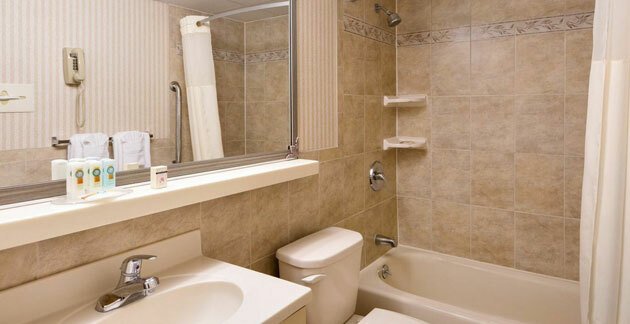 We offer a variety of room types from Oceanfront Efficiencies to Penthouse Suites.